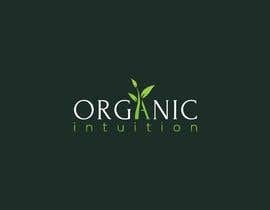 Please design a simple clean logo for our brand. We manufacture and sell Natural & Organic Cosmetics and household goods (laundry detergent, baby soaps, shampoos, conditioners, facial products, essential oils, shave soaps, astringent, etc worldwide. Logo may include anything natural (leaf/plant/aloe). Color scheme natural light greens, blues or yellows. Submit in all various formats: pdf, jpeg. dst, png etc. so far entries are "ok" nothing really stands out more than the others. We like the print font (CAPS ok) not so aggressive in appearance. Spacing between letters may be increased. We favor the greens and blues. Perhaps a small leaf? or a sizable one behind the Brand Name (centered) fainted in contrast. 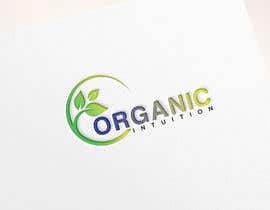 If you would like, provide the written brand name stacked (ORGANIC more pronounced) and Intuition beneath and slightly to the right as seen in #18 or #15. 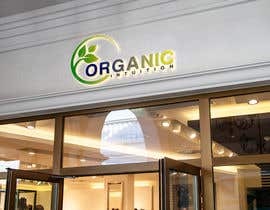 You may also create a unique symbol with just the "O" and "I" combined as seen in #28 for supplemental use if our Brand Name should be excessive in size for smaller products like lipstick. The logo must be able to be versatile in usage for the various products we are marketing. Great work everyone we look forward to awarding the winner. Feel free to let us know if you require additional clarification.